300 workers fainted, with heat and chemicals blamed for the incident. A MASS FAINTING took place at a Cambodian factory this week, with 300 workers falling ill over two days. Reuters states the incident took place at a factory in Cambodia’s capital, Phnom Penh and isn’t the only such mass fainting to take place in the country. This week, about 200 female garment workers fainted while working at King Fashion Garment on Wednesday afternoon. On Thursday morning, another 100 people fell sick. According to Reuters, district police chief Born Sam Ath said the workers were in bad health, didn’t eat enough and were working in stuffy conditions. 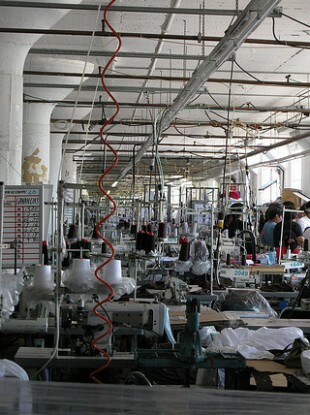 There are around 2,000 people employed at the factory. Workers told Reuters that there had been a bad smell inside the factory for two days and that heat also contributed to the fainting. In April, another mass fainting took place, involving 800 workers over two factories. Many Western brands source their clothing in Cambodia, and are under pressure to ensure their suppliers provide decent working conditions for employees. Email “'Mass fainting' at Cambodian factory ”. Feedback on “'Mass fainting' at Cambodian factory ”.